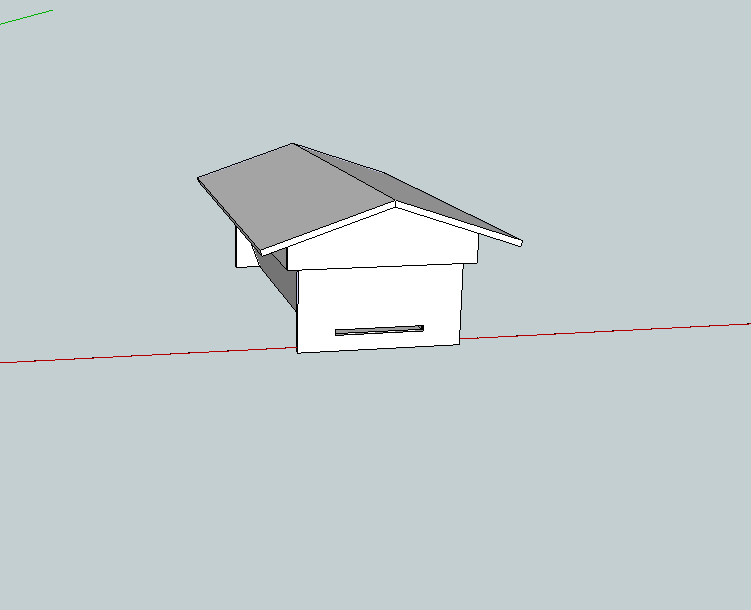 Here’s a Google Sketchup design for a simple top-bar beehive. 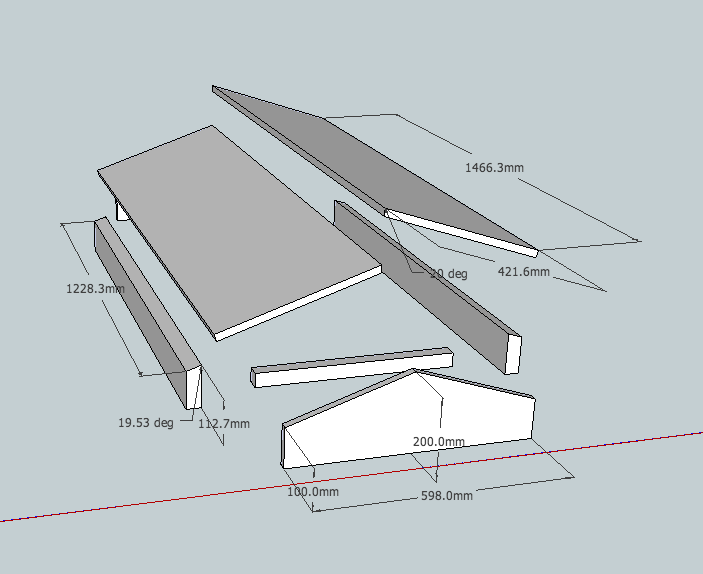 Only 2 measurements really matter in the design of a top-bar beehive: the angle of the side panels (70 degrees) & the width of the top bars 35mm. They both pertain to bee behavior and this design has them both optimized. From what I gather, other measures are quite forgiving. 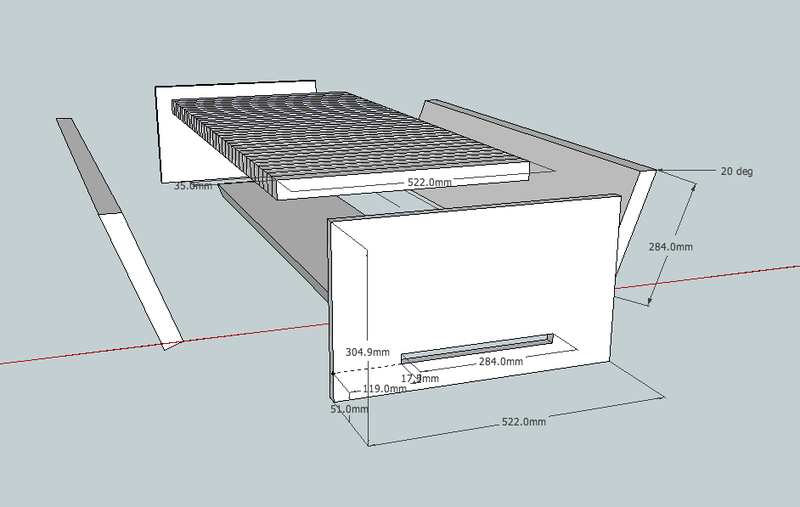 This design is simple & well researched, I do not know yet how it will fare in practice, more to come on that. 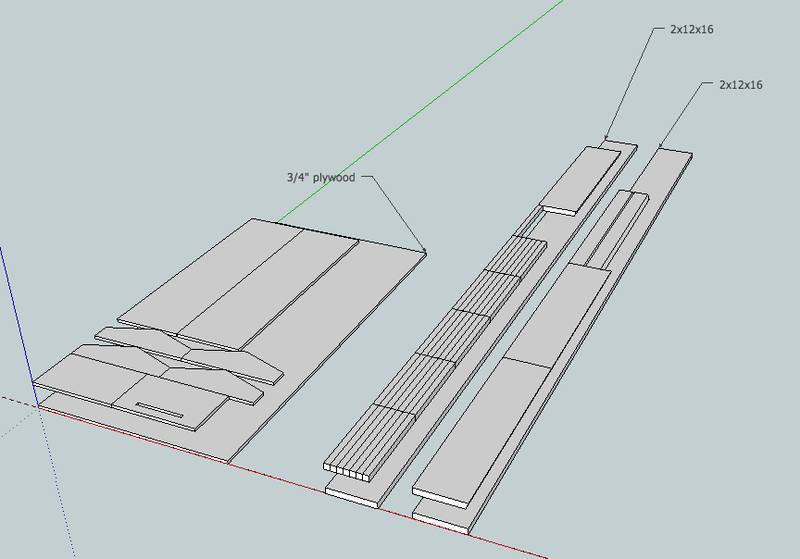 Lastly, all units are in millimeters but based on standard lumber sizes available at the hardware store.